Hawaii congresswoman speaks out about missile threat. President Trump and Capitol Hill lawmakers were immediately briefed Saturday on the false alarm in Hawaii for a ballistic missile attack, including Hawaii Democratic Rep. Tulsi Gabbard who said she was trying to calm fears and “get to the bottom” of the mishap. Gabbard also said that she urgently began making calls and sending out tweets, as many in Hawaii panicked for about 35 minutes, before learning the text was a false alarm. “Hawaii – this is a false alarm. There is no incoming missile to Hawaii. 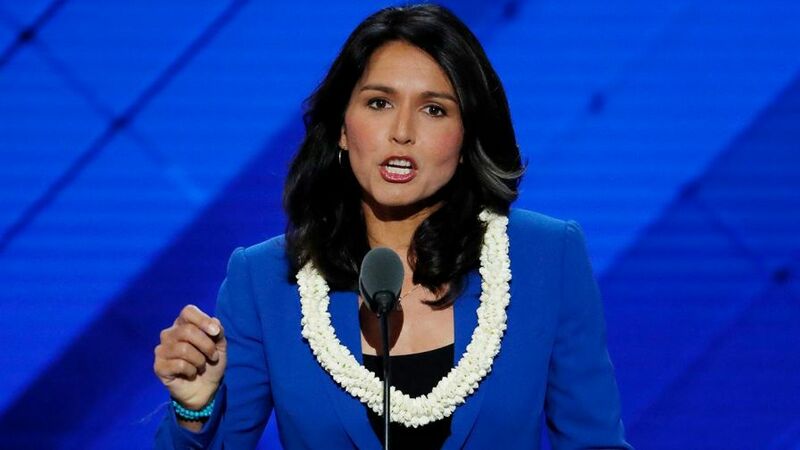 I have confirmed with officials there is no income missile,” Gabbard tweeted in all uppercase letters. Hours later, officials said the alert button was accidentally pressed by an emergency official, purportedly during a shift change. The White House confirmed that President Trump, who this weekend is at his Florida estate, Mar-a-Largo, was immediately briefed on the incident. “Ballistic missile threat inbound to Hawaii. Seek immediate shelter. This is not a drill,” the text read. Hawaii residents have increasingly been on edge about such an attack, as North Korea continues to test a nuclear warhead and inter-continental missiles on which to launch one. After the text was sent, Hawaii Gov. David Ige met with top officials of the state’s Department of Defense and the Hawaii Emergency Management Agency to determine what caused the false alarm and to prevent it from happening again. “While I am thankful this morning’s alert was a false alarm, the public must have confidence in our emergency alert system. I am working to get to the bottom of this so we can prevent an error of this type in the future,” he said. Fox News is told the U.S. House was planning a hearing in early February to address emergency alert systems and that the incident in Hawaii will now be part of the hearing. And a Federal Communications Commision official said Satauday the agency would start an investigation into the incident.